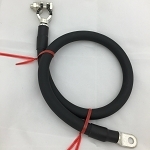 2 gauge battery cables made from 2 AWG copper battery cable with flexible fine stranding designed to outlast and outperform other battery cables on the market. 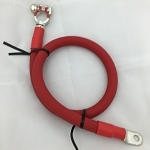 We've sourced the best USA made copper battery cable and assembly your cables to order based on your requirements. As always, if you don't find what you need give us a call or email us and we will work with you to design the perfect cable to suit your needs.